Greetings! Are you in search of a serene, peaceful and relaxing beachfront vacation or a vacation full of fun-filled activities? Either way, you have found it! 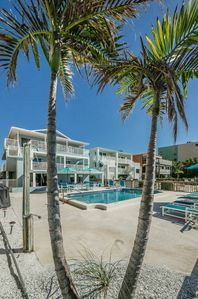 This tastefully decorated beachfront awaits you and your family and it is just steps away from the beach! 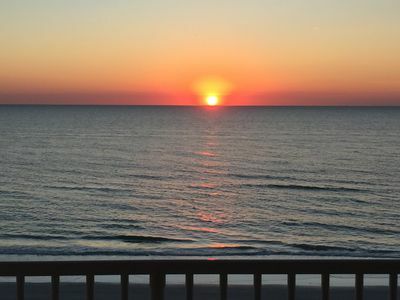 As you plan your day, start with a cup of coffee on the private balcony, be on the look-out for a dolphin or two. Ready for the beach? 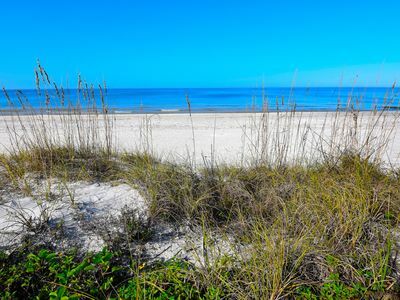 You're just a few steps away from the beautiful white sand and uncrowded beach. Did you say "Beach gear and toys for the little ones?" We even have that covered for you! If you're looking for activities for all ages, there are a variety to choose from in the area. 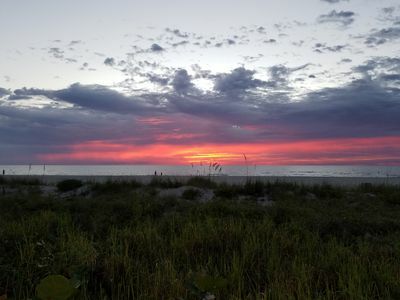 And don't forget the amazing sunsets to be enjoyed in the evenings, right from your balcony! Every sunset paints a beautiful picture for you to admire, as you spend time reflecting on your day. 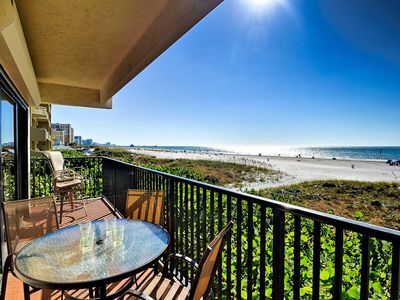 This centrally located vacation rental makes it an ideal location for a family beach getaway. There are numerous types of dining/restaurants for you to choose from and many that are within walking distance. 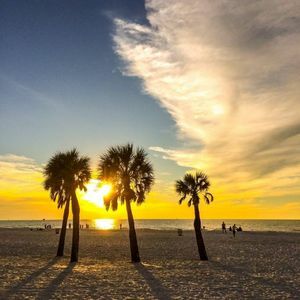 We are just minutes from Kooky Coconut, John’s Pass Village & Boardwalk, Clearwater Marine Aquarium, Pier 60 Park & Playground, Sand Key Park, Beach Art Center, Suncoast Seabird Sanctuary and much, much more! 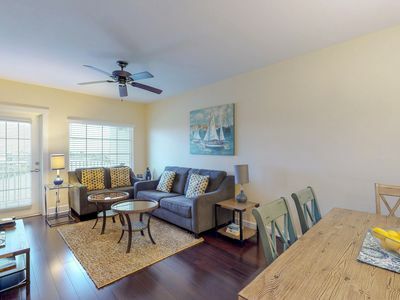 Our spacious 2300sf - 3 bedroom, 3 bathroom, third floor unit with elevator access sleeps 8 comfortably. You will find every room filled with little details that make you feel right at home. The master bedroom is equipped with a king size bed and private bathroom with walk in shower. The second bedroom has a queen size bed. The third bedroom has two twin beds. The living room has a queen sized sleeper sofa. A Pack n Play is also available, if needed. 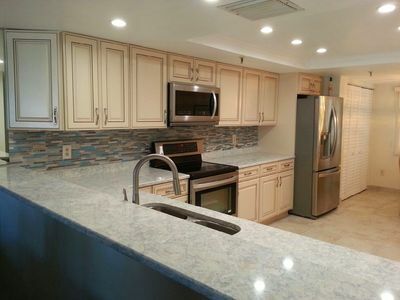 The kitchen is fully equipped with everything you could possibly need for your getaway. A small table for more intimate meals and a larger dining table that will seat 12. 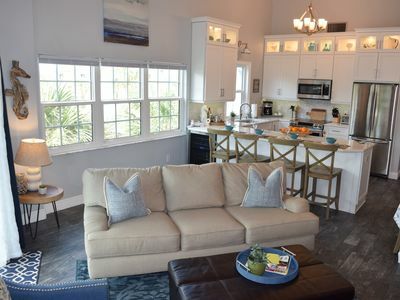 The kitchen is open to the dining and living areas providing you with a view of the beach. 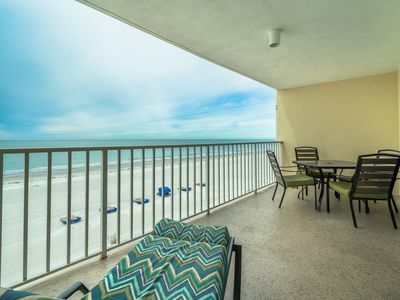 The beach will feel like it's at your fingertips when you step out on your balcony, which is accessible from the living room. 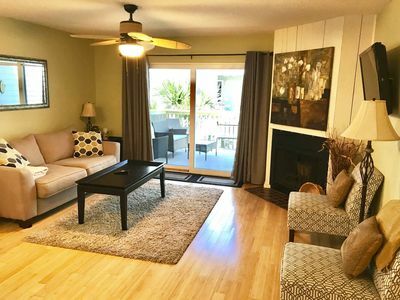 A grand living room with space for everyone to relax is also a highlight for this unit. It can comfortably seat everyone in your party whether it's to watch the big game, a fun movie, or play a game. The space is more than adequate to meet all your needs! There is even a washer and dryer for your convenience. We really have tried to think of everything so that you don't have to. We want this to feel like home for you, so that you can step away from the busyness of your life and just relax. 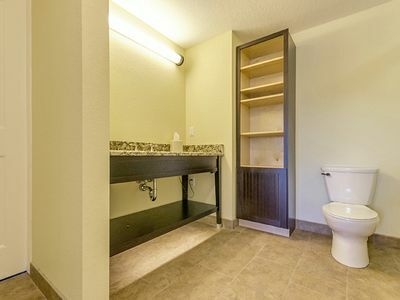 This is ample space for you and your entire family. No worries about stepping on each other’s toes or feeling crowded. 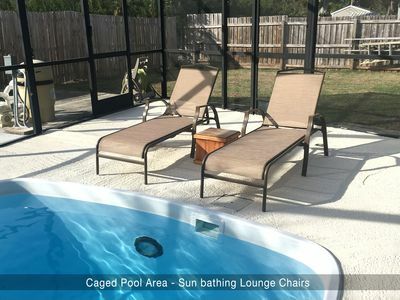 There is a storage unit that holds beach chairs, beach umbrella, and sand toys for you and your family. Beach towels are also available in the unit. Wireless internet provided. There is also a smart TV which gives you access to your Netflix, Youtube, and other online accounts. This is very useful on those not so sunny days at the beach. There are 2 open-garage parking spaces on site with this unit. You will find a manual on the kitchen island which includes instructions for the unit, where items are located, restaurants, attractions, Internet password, and many other things you will need. If at any point you have questions, please feel free to email me. Our community has three units. If you see a neighbor, say "Hello" and please remember to keep the noise to a tasteful level. We appreciate you treating the space like your own and we hope you love your experience! The maximum occupancy for guests staying in this unit is 8. Please inquire before requesting a reservation if there will be more than 8 in your party. If you need of a smaller space, we have two more units in this building, side by side available (#607710 and #664934) that sleep 6 each. 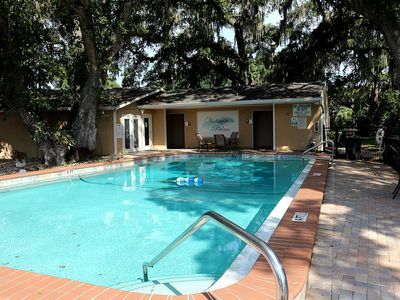 We are 30 minutes from the Tampa International Airport and 20 minutes from the Clearwater/St. Pete airport. A Brand New 10,000 Square Foot, High-End Villa Estate -- Right On The Ocean! Spectacular Views & Endless Views! Walk to Downtown Dunedin and the Marina! 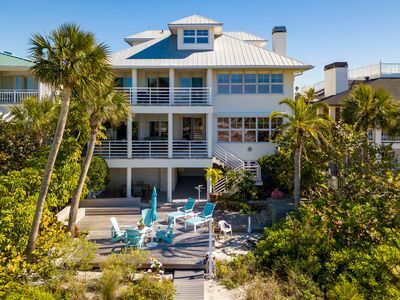 GORGEOUS BEACH HOME! NEWLY DECORATED! 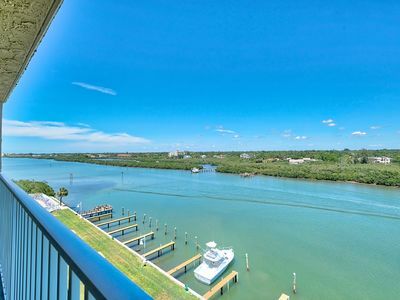 Beach and Intracoastal Access. 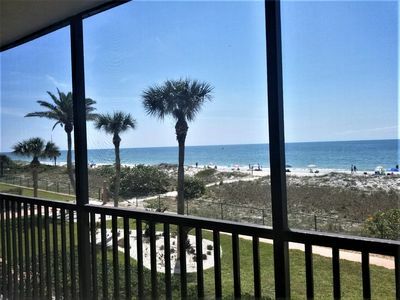 Amazing Direct Gulf Front Condo Corner Unit 2BR/2BA Sleeps 6. 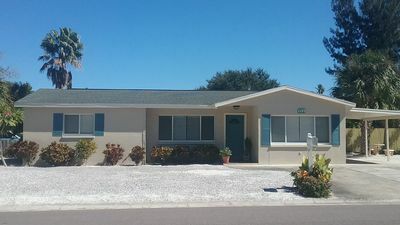 3Bed, 2Bath, Heated Pool Home close to Tampa Airport, beach, & family fun! Weekly rentals. 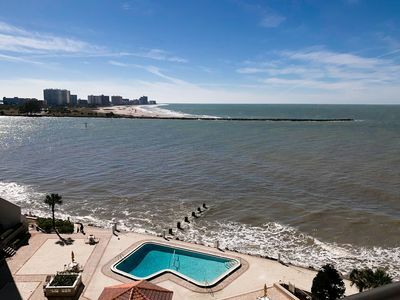 Luxurious beach front condo with the best direct Gulf view.